” Be A Fox Hunt Saboteur Adverts contribute towards site running costs, but currently may not fit with the site ethos. We will continue to work on a solution. Being a hunt saboteur, you will save foxes from being ripped apart by dogs, on the order of huntsmen and women, after being chased for miles feeling utter terror. There is not only the cruelty to the fox to consider, as there has been terrible cases of cruelty to the dogs that has come to light. Dogs can get badly injured, and when they are past their prime for hunting, they are killed. The same goes for the horses used. Since 2005, killing prey with dogs has been illegal in the UK. Hunts ignore this and continue to enjoy causing agony and terror to foxes. The law is not well enforced, so people using direct action and try to sabotage hunts is the main way to save foxes from this awful fate. 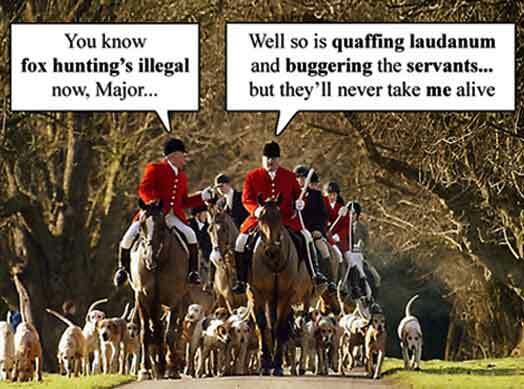 There are a number of ways the hunts can get around the law. One way, incredibly, is for them to claim that the dogs killing the fox was an accident! When people think about fox hunts, they often have images of people on horses wearing distinctive red or black coats and boots. This can be the case, but in less affluent areas the occasion is not an upper crust affair and is done on foot in regular clothes by country folk. Hunt sabbing involves a lot of physical activity and you need to be quite fit to take part. If you are not fit when you start, you soon will be! Van: This is how the hunt sabs get around. If you are very lucky, you could have your van modified with hunt saboteuring in mind – CB radio, off-road tyres, electrically powered citronella sprays, and amplified ‘gizmo’ with external 100W speakers. Don’t worry if it isn’t though. Sprays: Water/citronella (50 parts/1 part) mix. Simple garden spray to pre-spray a wood. Alternativey, garlic spray works just as well but doesn’t smell good! Whips: Large bull whips, which are cracked ahead of the hounds to stop them. Horns: If 3 or 4 members of the group can blow a horn to a similar standard to local huntsmen, they can give conflicting or mis-directing signals to the hounds. 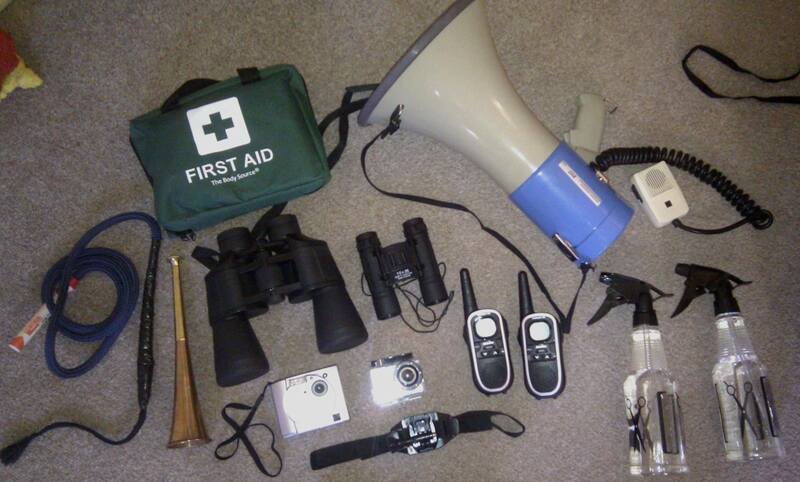 CB Radio or Mobile Phones: To communicate between separate groups of hunt saboteurs. CB radios are good where they may not be signal coverage for mobile phones. Binoculars: For spotting foxes before the hunt does, and keeping track of the hunt. Loud Hailer or Amplification Gizmo: By playing a tape of hounds in cry through these, (ie the excited yelping when they are chasing something), the real hounds can be pulled off the scent. For more information about equipment you will need, click here. For how to make an amplified gizmo, click here. Prior to the hunt, use citronella to spray all around the hunt area where foxes are likely to be found. Before the hunt takes place, spray the covert (rough or brushy areas where foxes often hide during daylight hours, or when they hear dogs coming towards them) with citronella (a harmless lemon and water spray) or garlic. Spray at around the head height of a hound and on the ground, paying particular attention to gateways, bridleways and footpaths. Spraying citronlla in the path of hounds on the scent can result in the dogs being unable to smell anything other than Citronella, giving the fox a chance to escape. In woods too large to spray completely or when just a few saboteurs are available it may well be worth spraying a section or two. particularly at the down wind end so that hounds that do pick up a scent elsewhere in the covert will be likely to lose it as the fox is forced out of the wood and through the sprayed area. Prior to the hunt and while spraying the hunt area with citronella, flush all the foxes out of the hunt area by beating the area or using fireworks. 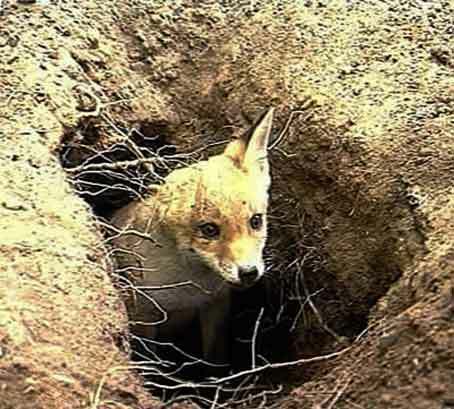 Beating of the covert should be done at the same time as spraying to try to drive foxes out. 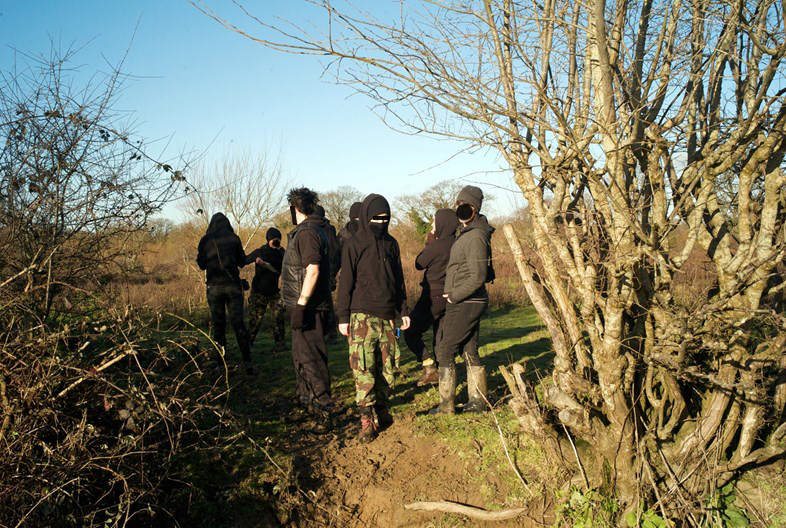 To do this effectively, hunt saboteurs should form a line at the up wind end of the covert and proceed away from the hunt meeting point using whistles, horns and hunting calls, just like the hunt would. The line should beat right to the very end of the hunting area, as foxes are often very reluctant to leave. Care should be taken to keep the beating line straight. If only a small number of hunt saboteurs are available, Rook scarers / fire works could be used to flush animals out of the area. Rook scarers should be timed to go off up until the time the fox hunt begins. IMPORTANT: To avoid fire and injury risk, make sure that they are set well above head height in evergreen trees, and away from footpaths and bridleways. Prior to the hunt, create false trails for the hounds to follow, preferably in big circles, using a dried blood solution, road kill foxes or fox bedding freshly collected from a sanctuary. Make sure your trails do not lead to any fox dens (earths). The aim of laying down a false trail is to trick the hounds (and hunt) in to believing they are on the scent of an actual fox. The best results are obtained using a dried blood solution. For those not keen on dried blood, fox bedding can be used if you know of a sanctuary that has a fox. The bedding must be fresh so you will need to collect it early on the morning of the sab. You can also use a fox that has been killed on the road. When using the blood, use an absorbent cloth and carry the container to re-soak the rag occasionally. When using bedding or a road casualty, use a netting bag tied to a string. Having decided which coverts (rough or brushy areas where foxes often lay during daylight hours, or when they hear dogs moving toward them) the hunt is likely to hunt through, assess the wind direction and try to work out how a fox would run from each one. If there is time, lay several trails through the wood so that the drawing pack of hounds can’t miss them. Start at one end of the covert and walk in the direction of the wind through the wood. Continue the trails into the open. If time is short you could simply lay a trail around the perimeter of a covert, in the hope that the hounds will switch to this from a genuine scent. You’ll only need two or three people to lay the trail: One dragging the cloth or bag and the others walking ahead to check that the way ahead is safe and does not lead into danger for the hounds, and that it does not lead to any fox earths. Roads and dry ground will not hold the scent. If it looks like it will rain, only lay the trails inside coverts, as they are likely to be washed away in the open. Trails will be most effective when laid shortly before the hunt arrives. A trail that can take 30 minutes to lay might be covered by hounds in just a few minutes, so ‘jink’ when you can – lay trails that lead hunts round in big circles. During the hunt you may be able to encourage hounds onto your trails with voice and horn calls. If you don’t know the meet in advance, you could try laying some last minute trails when you have found the hunt, though usually there is not enough time for this. Before to the hunt, search for fox earths (dens) and unblock them if the earth is hard to dig out or it is a large warren. Hunts will fill in the entrances to fox earths to prevent foxes being able to take refuge in them during the hunt. 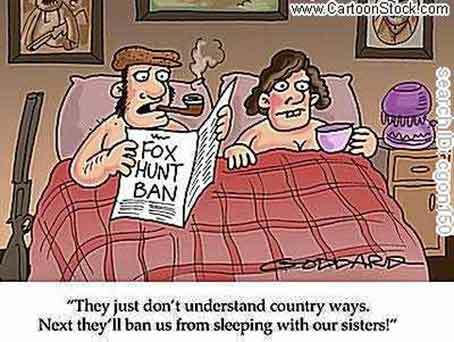 Unblocking them will at least delay the hunt should the fox go in to them. In the UK, where hunting is illegal, full photographic evidence of any blocked earths found should be obtained before clearing it. If the soil is very hard, frozen, particularly full of roots or stones, or the earth is a large warren, it can usually be safely unblocked with little chance of it being dug out by the hunt. However, if the soil is soft, do not unblock the earth. If such an earth is unblocked and a fox goes to ground, the terrier men are more likely to block any exits and dig out the fox. Image: When fox hunt sabotaging, look out for earths like this. Secure gates in the area. This will cause the hunt considerable delay and inconvenience. Gates can be secured with wire, or even padlocks and chains. In weather conditions where the hunt may sometimes be called off, ring the local papers and tell them that the hunt has cancelled when it has not, if it is a pub meet ring the pub and tell them also. This can lose the hunt support and create confusion. 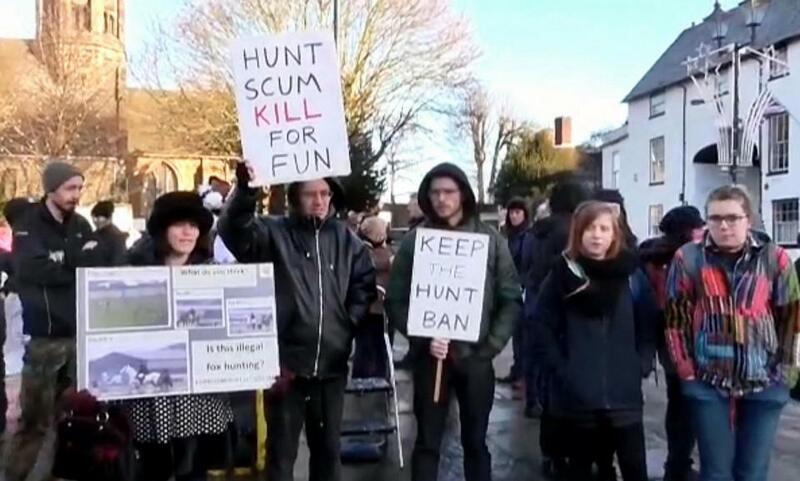 If you have contacted the press, hold a demonstration / protest with banners and placards and as many people as possible at the meeting place of the hunt. If not, hunt saboteurs who are not known to the hunt can act like followers of the hunt and mingle with hunt supporters. This way they can find out which way the hunt are likely to be going and relay this information to other hunt saboteurs. When acting as a supporter, remember to remove any identity badges and use the correct terminology (e.g. hounds not dogs, and charlie not fox). Make sure your cars do not get blocked in by supporters or the police. They do this purposely to prevent you being able to sabotage the hunt. If several hunt saboteurs are present, split up and spray the road sides leading away from the hunt’s meeting point with citronella. Never spray the hounds directly, always spray well in front of them. 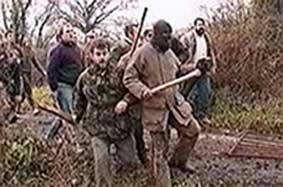 It is best to do it out of sight of the hunt supporters if possible, to avoid trouble. During the hunt, hide your face and identity from the hunt and hunt supporters. Let hounds waste time in areas that had been thoroughly beaten to flush out foxes before the hunt. If the pre-hunt sabotaging techniques have been put in place, then there is not as much to do during the hunt. This means there is less chance of confrontation as opposing sides clash. During the hunt, you are likely to come face to face with the hunt and their supporters. To protect yourself from these often aggressive people, hide your identity by keeping your face covered and covering any other easily identifiable features. If they discover your identity you could face reprisals. 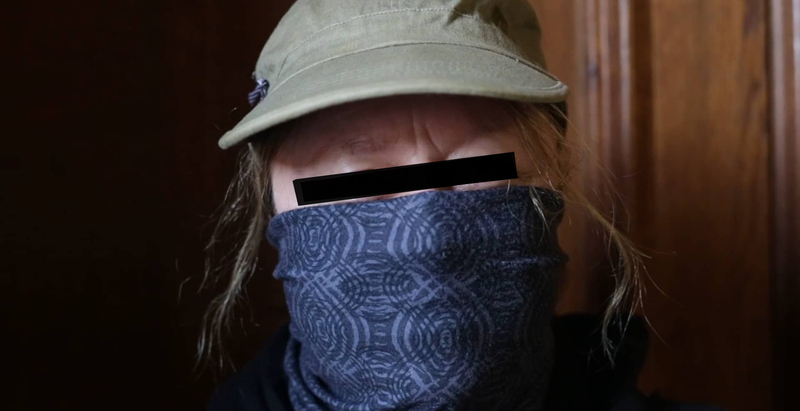 Image: Hunt saboteur concealing their identity to protect themselves from reprisals. Do not try to call hounds out of the pre-beaten covert: If the covert in the hunt area (rough or brushy areas where foxes often lay during daylight hours, or when they hear dogs moving towards them) or woods have been thoroughly beaten just before the hunt, it is good that the hounds waste time and energy in that area. The whip is cracked to frighten the dogs away from the scent of the fox. The horn is used to encourage the dogs to the horn blower (away from the fox scent). Hunt calls can be used along with whip cracking to tell the dogs off (‘rate’ them), or to encourage them to follow a scent. Sound recordings of dogs in pursuit can attract the hunt dogs to follow. The best place to make use of the whip is when hounds have found the scent of a fox and indicate this by calling out, or being ‘in cry’. Saboteurs should crack their whips when the hounds come towards the scent left by the fox. They must also “rate” them (tell them off) so that they think they are doing the wrong thing by following that scent. A hunt sab horn blower should stand away from the scent line that the fox has left behind (at a right angle to it if possible). 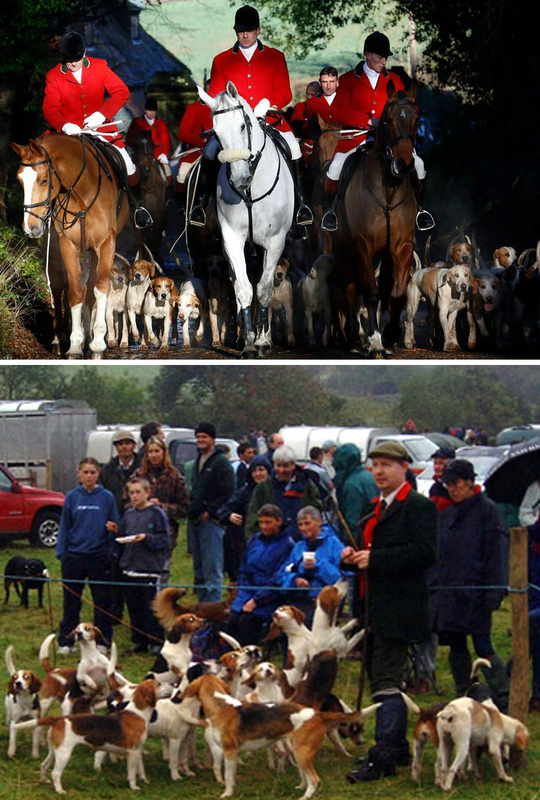 The horn blower should holloa first (a high pitched voice call that imitates that of the hunt), then start to blow fast notes to encourage the hounds to come to them instead of following the scent line of the fox. It works best if the sound of the horn and style in which it is sounded matches that of the hunts horn. This should be perfected before the hunt and not practised during. Some hunts may only voice train their hounds and not use horns. In this case, use the voice calls that the hunt uses to control the dogs. In theory the hounds will come to the horn blower saboteur who is away from the scent line of the fox. The saboteurs with whips should then scatter away from the scent line of the fox so when the huntsmen arrive, they don’t know where the fox has gone. Another good time to use the whip is when the fox has changed direction and the saboteurs run to where the fox has gone and crack their whips to stop the hounds following the scent. The horn blower should be encouraging the hounds to hunt on in the original direction. The whip can also be used when a fox comes out of a covert. Saboteurs run in towards the covert and rate the hounds back with voice and horn calls. Dogs respond to the sound of other dogs in pursuit, and will head towards that sound. This sound can be recorded and then played back when needed to attract hounds away from the scent of a fox. During the hunt, make sure everything is caught on camera, including dealing with hunt supporters, huntsmen, police – everything. A number of hunt saboteurs should be ‘monitors’ and film events with video cameras. If the hunt are aware they are being filmed, hopefully they will be more reluctant to break the law by giving their dogs the call to kill the fox. If not, you have the evidence. It will also be evidence of any assaults or threats, and of violations such as dogs attacking wildlife. Be careful not to find yourself on your own with hunt supporters. These people can be violent. If you experience any aggression, call the police. 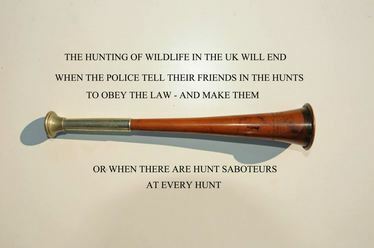 However, be aware that the police could side with the hunt, confiscate equipment and even assault hunt saboteurs. Continue filming events while the police are there. Make sure there is always at least one person filming from far enough away to capture everything that is going on. It may be an idea to have someone filming from afar undetected, if possible. Try to make sure the footage is as good quality and as steady as possible, as you may need to rely on it as evidence. Below: Supporters of the fox hunt. Hunt Sabs experience of police, who should protect them and prosecute those who use violence against them, has often been reported as less than positive. Even when hunt sabs have had video footage as proof of violence towards them, this evidence has been known to be “lost” by the police. SAFETY FIRST: Always stay in a group so you cannot be caught alone and attacked by hunt supporters. 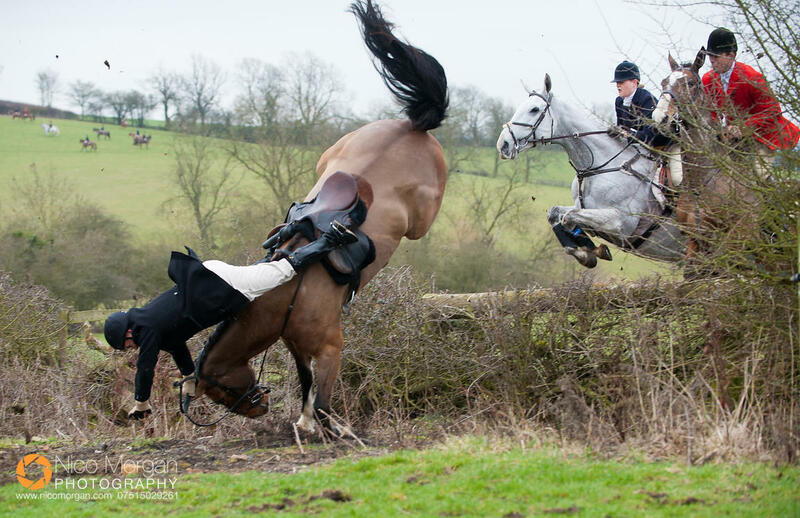 Being a fox hunt saboteur can be dangerous, and you can get hurt. Hunt supporters can be violent towards you, and people have even been killed. the first person to be killed trying to save foxes from hunts was gentle vegan, animal rescue volunteer, and animal rights activist, Mike Hill. 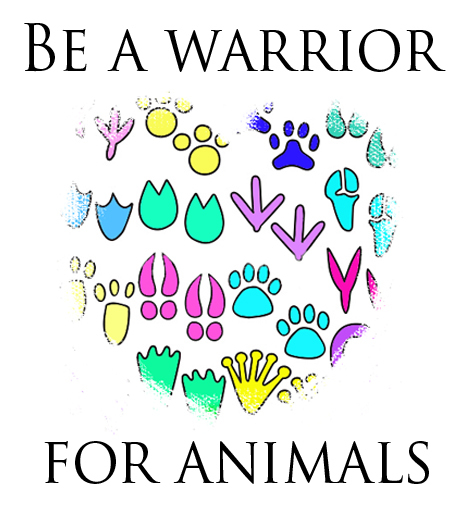 For many other ways to save animals from cruelty and suffering, please see the Help Stop Animal Cruelty & Suffering section of this site. You will find numerous ways to help that are free, take very little money or effort, and there is something to suit every personality, ability, and lifestyle.